The Aegean Sea with its thousands and thousands of larger and smaller islands offers a much indented coastline and a plethora of coves and secluded anchorages to drop anchor. A good deal of these natural harbours can safely be used for spending the night and will shelter you against a possible meltemi. Indeed this is one of the many reasons why Greece and Turkey are so popular with sailors: it is ideal bareboat sailing terrain and likewise for the more luxurious: those that desire a cruise on a gulet, motorsailer or other crewed yacht charter. Furthermore, outside the main charter season you will often find yourself along in a beautiful bay, and you can crown yourself King of this bay for one night. To avoid the crowds simply keep a wide berth to August, and in general to the area near Athens (meaning the Saronic Gulf, not so much the Argolic Gulf). Paroikia port on Paros island, close to the must-see Cycladic islands of Amorgos, Sifnos, Santorini, Folegandros etc. 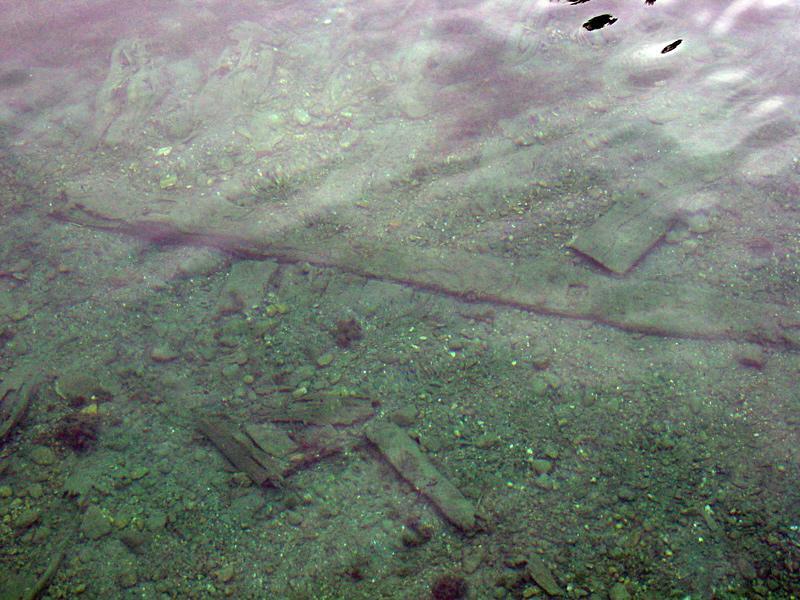 The photo above shows the impressive wreck that is indicated on several detailed maps of Skopelos and that is mentioned in most sailing pilots, though not by the Greek waters pilot by Rod Heikell. It lies 1.5 metres deep in the middle and to the west of the southern arm of Panormos bay and could indeed foul your anchor.